FRA Presentation Night:- Helm Hill had worked hard for this, and put on a good night. Hopefully medals are safe somewhere for those unable to be there. Apparently next year it will be held in/near Ilkley, not far to be travelling from The Peak, and the campaign to start by playing our joker on Edale Skyline. Or will the traditional evil conditions return and cause a postponement? It also seems that Ambleside will be hosting the Relays next year. A good while back, they put on the event at Langdale. 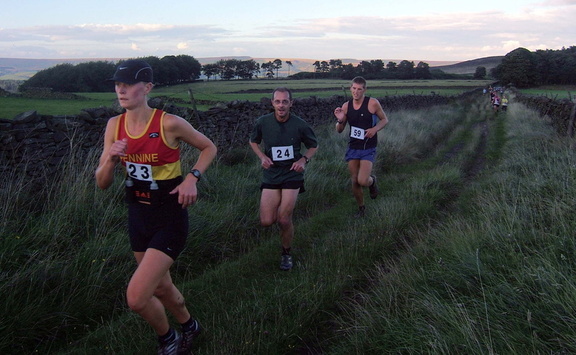 Burley Moor– a pleasant trip around part of Ilkley Moor……Yes, low key, no fuss, no prizes, and the added bonus of a good course...results. Legit Round Lathkil - results.